Is the project officially dead? It seems to me muting the ads, but not stopping them. Any idea why? When a song is paused it will start playing after ~15 sec automatically. The Spotify is stuck (black screen on startup) and just never starts. Worked for me for over 2 years, but after the most recent update ads starting getting through. 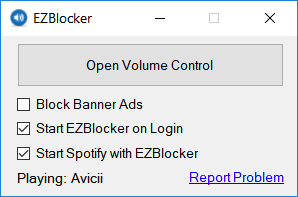 EZBlocker still mutes them but doesn’t block them.